2019 St. Patrick's Day Parade - who's interested?? View Poll Results: Would you like to ride in the St. Patrick's Day Parade? Thread: 2019 St. Patrick's Day Parade - who's interested?? THIS IS NOT THE SIGN-UP THREAD... I'm just checking to make sure there's interest in the parade for this year before I sign us up. 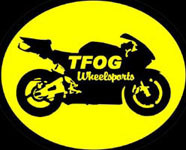 I already have sponsorship lined up (TFOG Wheelsports and Mo-Door), so that will cover entry fees and t-shirts. The parade is on Saturday, March 16th this year. 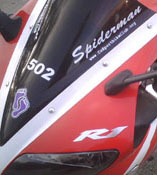 Last edited by Spiderman; Wed Jan 16th, 2019 at 06:01 PM. In for sure! May have a friend that wants to ride in the back of the truck, he just moved from Jacksonville, I’ll ask him. He said he is in if the spot on the bed is a possibility. Last edited by madvlad; Wed Jan 16th, 2019 at 06:46 PM. Also huge thanks as usual to EJ at Mo-Door and Jim at TFOG for the ongoing sponsorship! As per usual, willing to provide a portion of beverages for the cause and would like to ride in the back of the truck with my kiddo! +1 to Damir's thanks to Mo-Door and TFOG! Hell yeah! I'd definitely be in! Last edited by Minex; Fri Jan 18th, 2019 at 11:02 PM. You know I'm in. Lets have another fun time! !